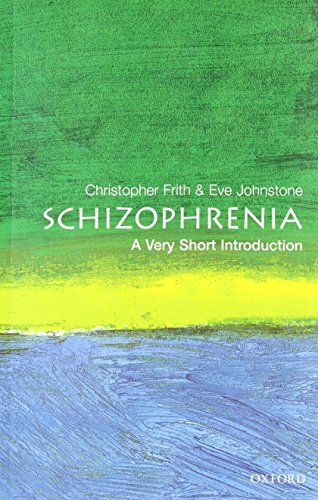 This book describes what schizophrenia is really like, how the illness progresses and the treatments that have been applied. It also summarizes the most up-to-date knowledge available about the biological bases of this disorder. Finally, it attempts to give some idea of what it is like to have schizophrenia and what this disorder tells us about the relationship between the mind and the brain. Schizophrenia is the archetypal form of madness. Schizophrenia is a common disorder and has a devastating effect on sufferers and their families-patients typically hear voices in their heads and hold bizarre beliefs. The schizophrenic patient presented to the public in sensational press reports and lurid films bears little resemblance to reality of the illness. This book describes what schizophrenia is really like, how the illness progresses, and the treatments that have been applied. It also summarizes the most up-to-date knowledge available about the biological bases of this disorder. Finally it attempts to give some idea of what it is like to have schizophrenia and what this disorder tells us about the relationship between mind and brain. ABOUT THE SERIES: The Very Short Introductions series from Oxford University Press contains hundreds of titles in almost every subject area. These pocket-sized books are the perfect way to get ahead in a new subject quickly. Our expert authors combine facts, analysis, perspective, new ideas, and enthusiasm to make interesting and challenging topics highly readable.